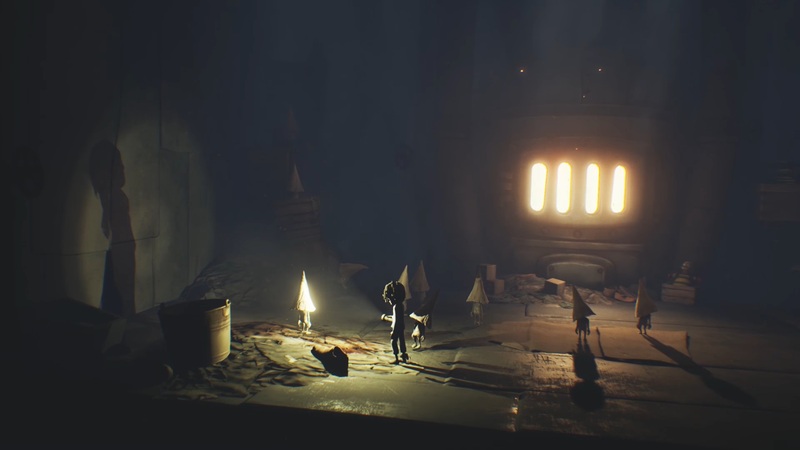 Little Nightmares recently launched The Hideaway, the second chapter of the three-part Secrets of the Maw expansion. Unlike the previous chapter The Depths, this DLC focuses mainly on having the Runaway Kid locate and rescue more of the mysterious pointy-topped Nomes, who were also hidden throughout the main game. The Nomes play a significant role in this Little Nightmares DLC, as they are key to escaping the engine room where the player wakes up. However, the escape route isn’t the only secret the Nomes are hiding. This article will dive into the theories explaining the true identity of the Nomes in Little Nightmares, based on the content in The Hideaway DLC. Caution: This article contains potential spoilers for Little Nightmares: The Hideaway DLC. We recommend completing the DLC first before reading further. Little Nightmares: The Hideaway - What Are the Nomes? In Little Nightmares, the Nomes are shrouded in mystery for the bulk of the game. It’s not until The Hideaway DLC expansion where players were able to get a better sense of what the Nomes really are. Up until this point, the Nomes were merely some mysterious pointy-topped oddities randomly hidden throughout the world for players to find. In The Hideaway DLC, however, the Nomes play a much more active role, helping the Runaway Kid solve puzzles and escape the boiler room. As players reach the conclusion of The Hideaway DLC, a huge clue points toward what these mysterious Nomes really are. At the end of the chapter, a series of Nomes stand in front of the fiery glow of the furnace, casting their shadows on the ground behind them. Upon closer inspection, you’ll notice that the shadows on the ground appear to resemble children rather than their Nome counterparts. This indicates that the Nomes are (or once were) actual children of the Maw. Furthermore, if you shine your flashlight on the Nome furthest to the left in this lineup, the shadow cast on the wall not only resembles a child, but bears a striking resemblance to the child at the start of the Runaway Kid’s storyline. The shadows in The Hideaway DLC allude to the true identity of the Nomes in Little Nightmares. The shadows aren’t the only clue pointing to the Nomes being children in Little Nightmares. There’s also the series of childlike drawings posted on walls throughout the game. Though these drawings appear to be created by children, the origin of these drawings is never really explained. It’s not until The Hideaway that we see one of the Nomes actively sketching one of these drawings, adding further evidence to the idea that the Nomes were once actual children. This new information about the Nomes’ identity in Little Nightmares raises more questions regarding the game’s lore. If the Nomes used to be children, how did they become Nomes in the first place? Were the children turned into Nomes on purpose? Who is responsible for turning the kids into Nomes? One theory is that the Lady turned the children into Nomes in order to keep the Maw’s engine running, which makes sense considering how the Nomes seem to automatically know to keep the furnace stocked with coal at the end of this chapter. Whatever the case may be, it seems that the fate of the children of the Maw is nothing short of creepy. This revelation becomes all the more disturbing when you consider the fact that Six ate a Nome at one point in Little Nightmares as well. YouTube content creator TheGamingBeaver has gone in depth with an explanation for how the Nomes came to be, which you can watch in the video above. How do you think the children became Nomes in Little Nightmares? Let us know your theories in the comments below. For more Little Nightmares lore, check out the Little Nightmares Story and Ending Explained.